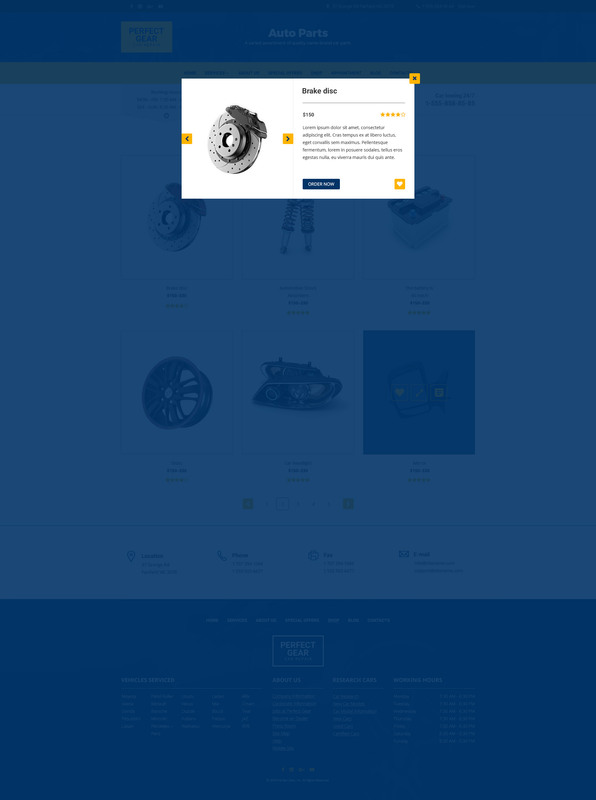 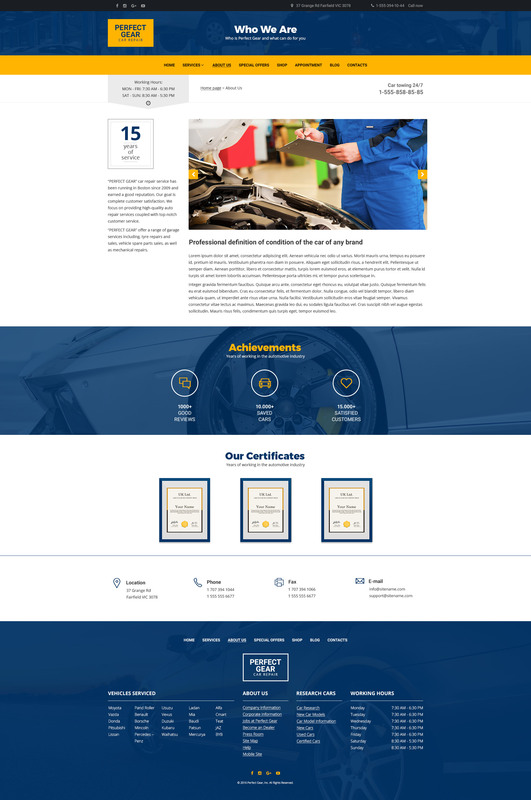 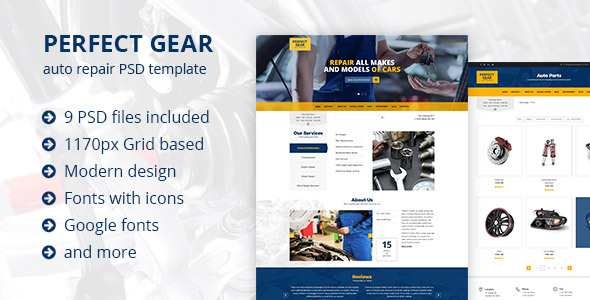 Perfect Gear is a template well suited for various businesses related to automotive industry: auto repair, auto services, auto maintenance, car wash, auto parts store, auto paint shop, etc. 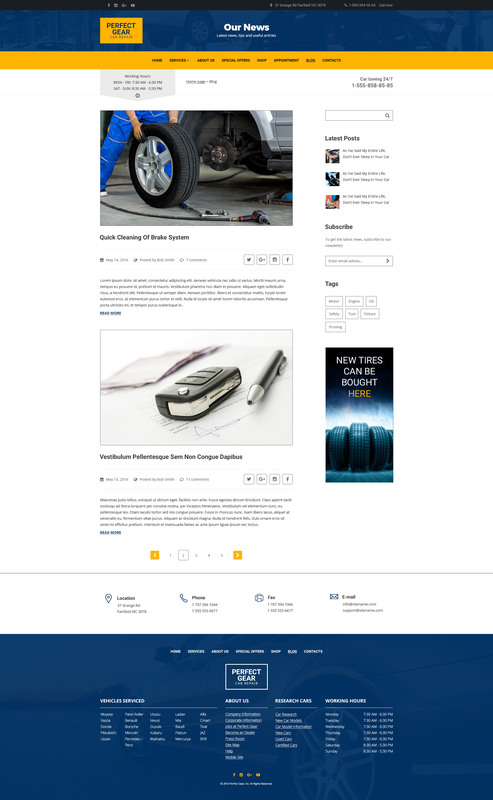 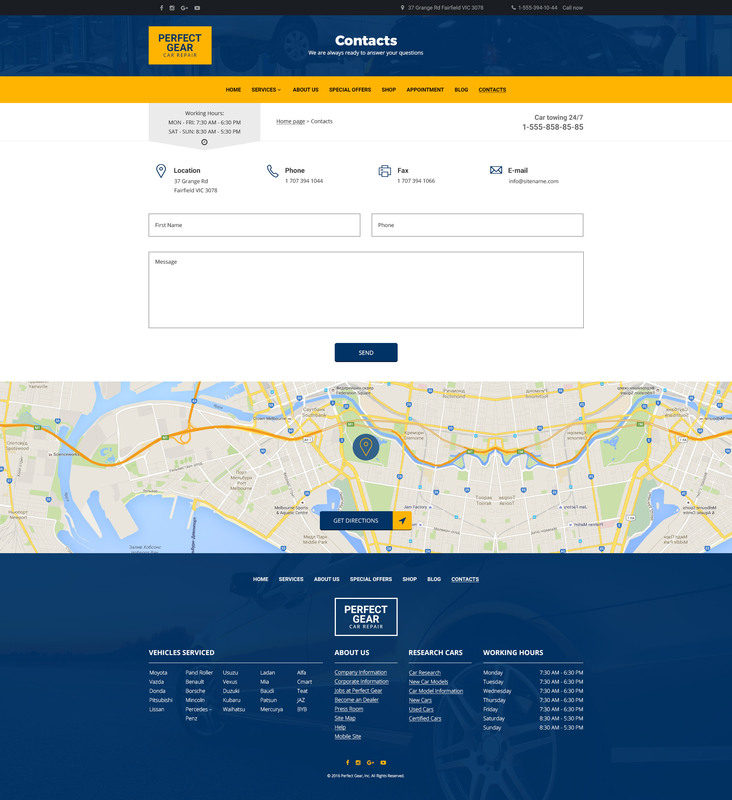 We have researched many different auto repair and auto shop sites, and made a thorough analysis of these sites taking into account views, needs and comments from motorists. 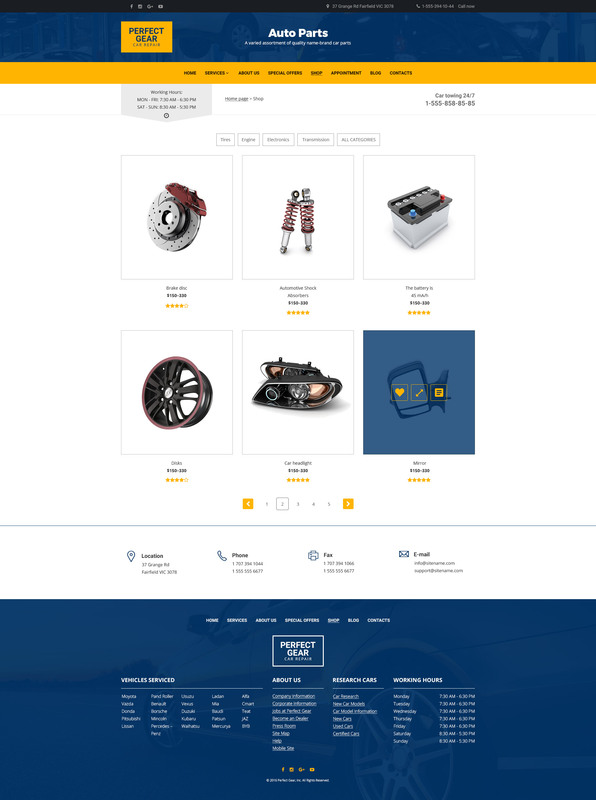 The exclusive style and user-friendly interface of this template meets the needs of both businesses and their customers. 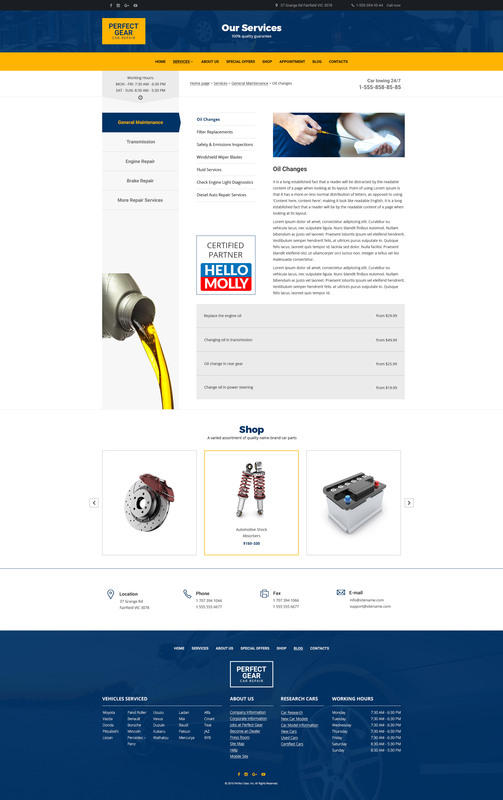 Note: that photos and font files are not included in the archive.